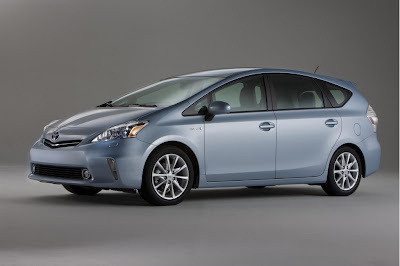 Toyota wants to source hybrid drivetrain components in North America to begin building the next-generation Prius in the United States by 2015. Toyota already is scouting suppliers capable of delivering inverters, electric motors and batteries from the United States in anticipation of the move, said Koei Saga, senior managing officer in charge of drivetrain r&d at Toyota. The driving force behind the shift: Toyota forecasts Prius sales of 200,000 units a year in North America by 2015 -- if not sooner. Volume is already on track to exceed that this year. The push for hybrid production will be timed to the introduction of the fourth-generation Prius, the world's best-selling hybrid. In the first three months of this year alone, Toyota sold 60,859 units of Prius family vehicles in the United States, including variants such as the Prius V wagon, Prius C compact and plug-in Prius. The total was up 42 percent, from 42,779 units a year earlier. Toyota executives have said previously that they expect sales of all hybrids -- members of the Prius family and others models -- to double to 400,000 in North America by 2015.